Deluxe Adjustable bench with leather top. Available in ebony and walnut. Deluxe adjustable piano bench with leather top. Available in ebony and walnut. 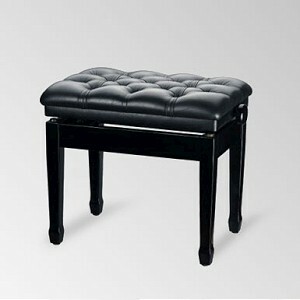 This stool is ideal for the avid piano player that spends alot of time at the piano keys.